The Douglas County Burglar Alarm Ordinance provides an equitable solution to a difficult problem: managing our law enforcement assets to provide superior law enforcement services. Douglas County deputies spend too much time responding to residential and commercial burglar alarms that do not represent an intrusion or uncover criminal activity. False alarms cost Douglas County and residents thousands of dollars per year and takes deputies away from actual emergencies. That’s why Douglas County passed a burglar alarm ordinance. 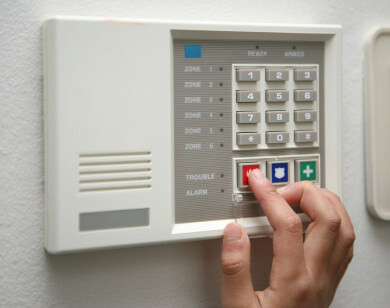 The ordinance requires monitored burglar alarms in unincorporated Douglas County, the city of Castle Pines and the town of Larkspur to be registered and pay an annual $40 permit fee. The alarm installation or monitoring company, not the home owner or business owner, is required to register the alarm and pay the fee. For questions about registration, suspensions or jurisdiction, please contact PMAM Services at 877-356-7602. You may also call the DCSO Community Resource Unit at 303-660-7500.